In today’s time losing your Smartphone is no less than a creepy nightmare since all our contact information, personal information, pictures, videos, and possibly even financial data on there , It’s a treasure trove for thieves and other malcontents. For our lives are dependent on that mini machine here are some apps that would help you out in figuring your lost mobile phone. Here are five wonders of the world that’ll help you find your phone if misery chooses to capture you and it gets stolen or lost. Find my phone is an app available on Google play store for android users as well as for the iPhone lovers and most importantly it’s a free app. You can quite easily track your handset by using this state-of-the-art GPS tracker app which will help you locate the exact location of your beloved Smartphone. This app not only provides the current location but also gives real time update in case it’s been travelled around with. For this app to function and enable tracking all you gotta do is install this app on your mobile phone and then login to the website to track the location through the Google maps facility. 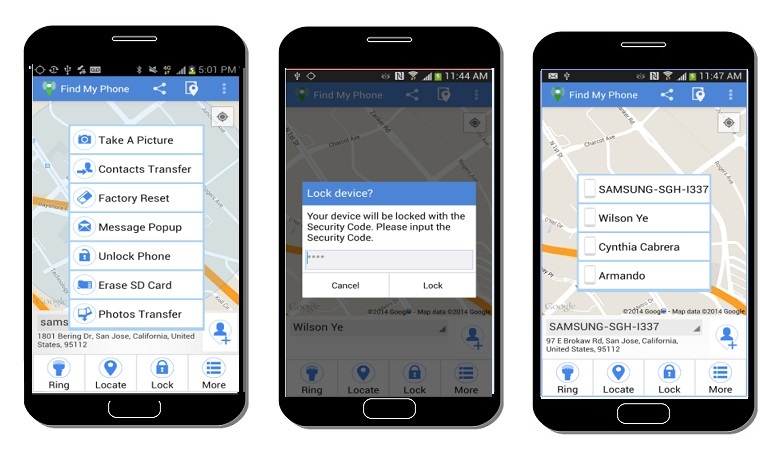 Second in the list of anti theft app is the Cerberus app which not only is a “find my phone app” but an overall safety protector. This app rated 4.4 on Google apps has a few trial for up to one week and later on you can buy the premium version. It provides three different ways to ensure complete protection these are the “3 heads” of Cerberus. The first one being Remote control through the website www.cerberusapp.com, second one being Remote control via SMS (text messages) from another phone and the third being the Automatic alerts. With this app you can block the thief from uninstalling the app as well as stop them from shutting down your electronic device, block menu and menu bar so to ensure utter safety of your device. The app works even if the device doesn’t have internet connection and this app won’t fail to provide you its best services. This app rated 4.4 on Google play store is a must have application. 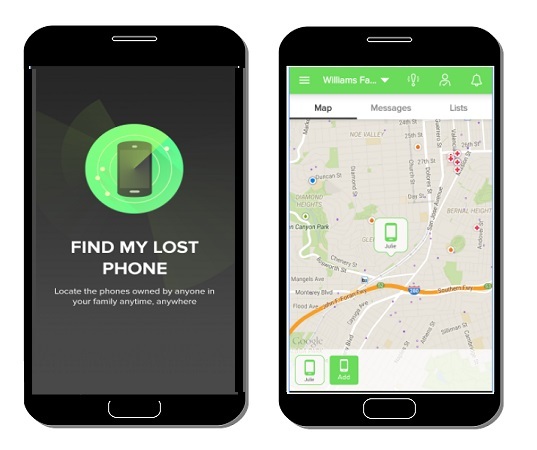 As the name itself suggests this app would actually help you find your friends and family as well as help you retrieve your cell in case it gets lost. This app helps you create circles by adding and registering mobile phones of your loved ones to keep their and your security as priority. 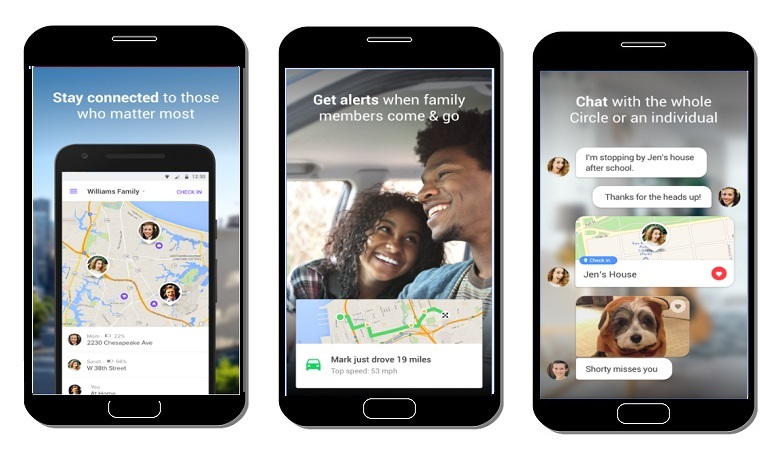 Moreover this app gives 24/7 updates on your and your family’s and friend’s devices through qualified GPS navigation. This app is free for both IOS and android smart phones. Anti theft and find my phone is the fourth wonder in the avengers list to protect your android device when it’s lost. Not only it will send you real time location also it enables you to receive your contacts on the registered email, erase the data of your SD-card and taking a picture from the front camera so you get a clue who is actually having your phone. This app is totally free and is rated 3.9 on Google play. 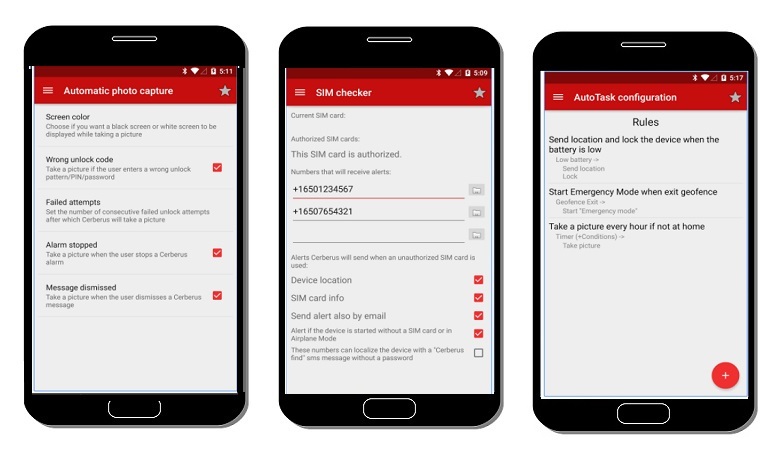 This mobile application helps you receive your lost or stolen phone through obvious GPS tracking facilities and gives security alerts via text messages. 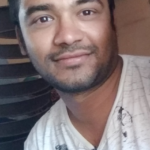 This app has in app purchase to a pro version which enables advanced featured like taking a picture, erasing SD card, blocking incoming text messages and calls , preventing the uninstallation of the app through “Hide the app icon”, using a landline to activate the app,customizable ringtone when the phone is lost, Geofencing , auto theft detection, passive location updates, location history, viewing contacts and call logs ,view device stats and nearby Wi-Fi signals and updates if a new Sim card is being operated in your device. This app is rated 4.5 on the start scale and is the best employed app till date. These mobile apps would make your mobile detection a quite easy job so you don’t lose the “joys” of your Smartphone.